For me, New Years resolutions seem almost cliché. Healthy eating and fitness goals flood the radio and television shows, and while I dislike thinking that I have to wait until the new year to embark on a new adventure or set my sights on a new goal, I do like the idea of a fresh start. Resolve to share more horse photos in 2015? Sounds like a good plan. The barn is no exception. 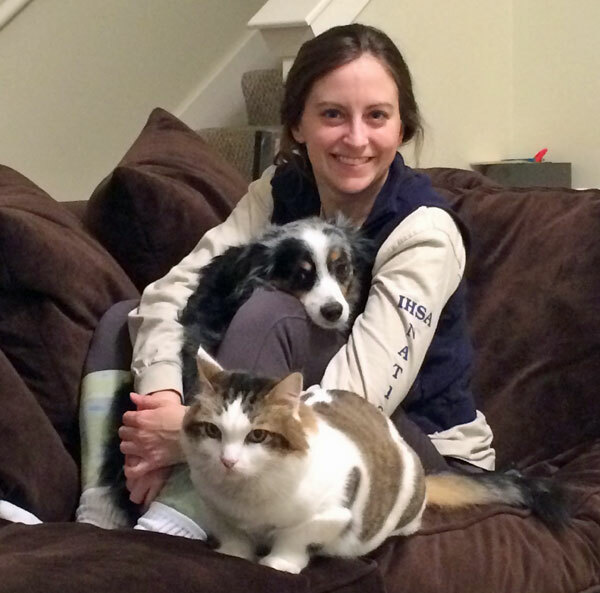 After all, I spend a substantial part of time with my four-legged partners in crime. I see no reason why 2015 can’t blow 2014 out of the water. Here are my top 7 horsey resolutions for 2015 … I really wanted to make 10 different resolutions, but I don’t want to add 3 just to hit a nice, round number. If I’m going to set goals, I fully plan to achieve them. No bad ride, scary jump or bad weather can stand in my way. I don’t even have my own horse, but I want to focus on the positives of each ride I have. Even if I rode the horse last week and it was a ride full of fighting, I’m going to focus on the good things the horse does the next time I get on. I’m going to commit to brushing off the chip on my shoulder. We all know horses respond to body language, so I’m going to let go of any grudges each time I ride a horse in 2015. I’m going to oil my saddle. At least twice a month. I love my saddle too much to let the leather crack. I’m going to oil my boots. Also at least twice a month. I know they’ll last longer if I care for them, and I don’t want to have break in a new pair of boots anytime soon. Those heel blisters are not fun. I will continue to try to do yoga once or twice a month. As a rider, I rarely stretch before or after my rides, and a yoga class makes the soreness disappear within a day. I will continue to post horsey pictures to my social media. I love sharing my horsey love with the world. Now it’s your turn. 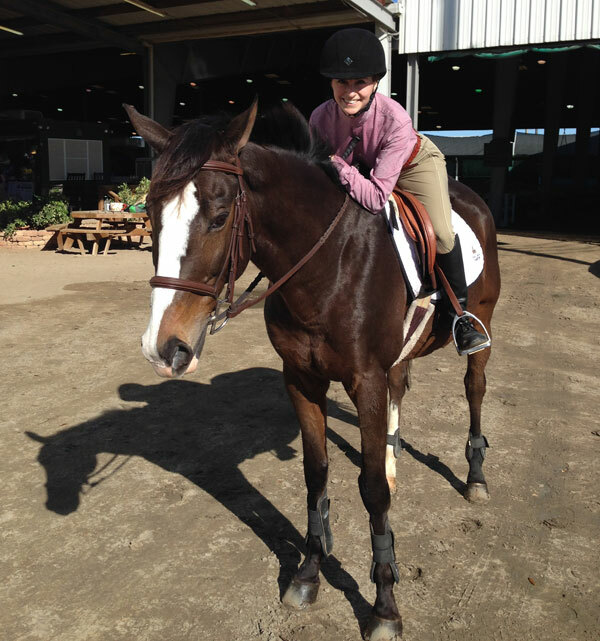 What are your horsey New Year’s resolutions? Tell us in the comments below. Follow Allison on Twitter: @allisongriest. 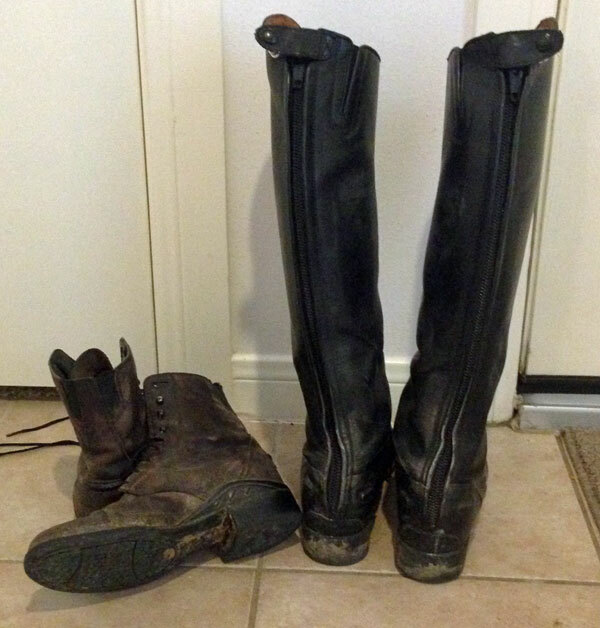 I like the cleaning of the boot…I need to spend time cleaning my saddles and the rest of my tack. I do need to oil and clean my leather more.